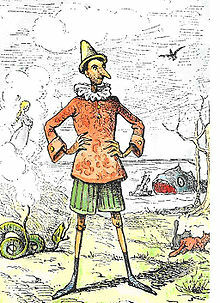 Pinocchio, a seembol o untruthfuness. A lee is an intenitionally fause statement for the purpose o deception. The practice o communicatin lees is cried leein, an a person wha communicates a lee mey be termed a leear. This page wis last eeditit on 4 Mey 2017, at 19:42.